When your drains become blocked, it can be very stressful and inconvenient. If you have found yourself with a blocked drain, the most important thing is to act quickly before the blockage can grow in size and severity. If you do not have a blocked drain but are concerned about the risks, there are many steps you can take to avoid a blockage. 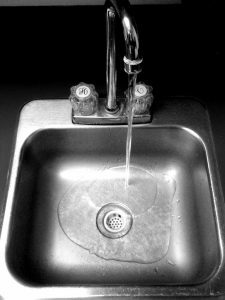 Kitchen sinks can commonly become blocked when food is flushed down the sink. Food substances such as grease or fat, or even coffee granules, must not be washed away down the sink as they can easily stick to the walls of the drains and this causes a buildup of waste which will eventually lead to a blockage. If food is continually washed down the sink then the initial buildup will continue to grow in size, and if it is left for too long then this can lead to serious problems like a burst or collapsed pipe, and flooding. Flooding is a very serious issue that can cause a great deal of damage to your property. This will not only cost you a lot of money to fix, it also poses a major health hazard to everyone living at the property. Wastewater contains a huge amount of bacteria that can easily spread infection when it comes into contact with the surfaces in your home, so it is very important that you make sure to take good care of your drains in order to avoid this from happening. Toilets are one of the most common appliances to become blocked. Quite often the blockages are caused when simply too much toilet paper is flushed away at once. However, we often see blocked toilets as a result of foreign objects being washed away, when they should be thrown in the bin. Items such as nappies, baby wipes, and sanitary items do not break down quickly enough for a toilet to flush them away, and they can become stuck in the pipes which will rapidly lead to the pipe becoming blocked as more and more items are flushed away incorrectly. Making sure to properly dispose of all waste in the bin will ensure that your toilet is being treated correctly, making it less likely to become blocked. If you are correctly disposing of all waste, but are still concerned about the risk of your drains becoming blocked then there are steps you can take to catch any small blockages that may have begun to form. Pouring boiling hot water down your drains is a simple way to clean away any debris that might be stuck to the sides of the pipes. 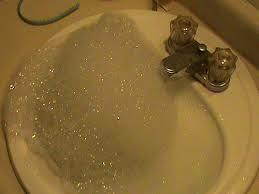 This can be done with your kitchen sinks, bathroom sinks, and even your toilet. Additionally, you can use baking soda and hot vinegar to eradicate any build ups that may have started to form and gone unnoticed so far. Begin by pouring a pot of boiling water down the drain, and follow this up with a cup of baking soda and a cup of hot vinegar mixed with water. If you have a cap for the sink plughole, place it over the mixture to contain the reaction and leave for a few minutes. 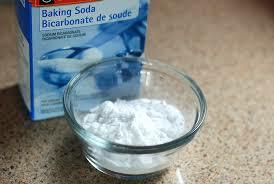 The chemical reaction between the vinegar and the baking soda will loosen and dislodge any debris in the drain. After a few minutes, wash the mixture away with another pot of boiling water. This method can also be used if you are going away for a short holiday and want to prevent your drains from blocking while you are away. Leave the mixture to do its work in the drain while you are away, and when you come home wash whatever is left away with hot water. The last thing you want when you come back from a nice short getaway is to find your drains blocked and smelling bad. It is important that this preventative method is used only if you are away for a few days, as the mixture can begin to damage the pipes if left for too long. How do you unblock a sink? Failing the use of drain cleaning products, the use of a sink plunger can prove to be more effective. Place the plunger over the plughole and gently push up and down to create pressure in the drain. Make sure to regularly check if the debris is being removed, and clean away if necessary. You can check to see if the method is working by turning the tap on and seeing how quickly the water drains. Beneath most sinks you will find a pipe that makes a U-bend, which can sometimes become blocked. However, there is an easy way to remedy this. If you suspect that there may be a blockage in the piping immediately below the sink, find the U-bend pipe and place a bucket underneath the pipe. Unscrew the closest thread to you on the pipe and wait for the water to drain out until it stops. Once the water has drained, unscrew the thread furthest away from you and again, wait until the water drains. Remove the U-bend carefully, and make sure to be aware of anything that may fall out of the pipe. Once the pipe is removed, check the insides of the drain for any debris or blockages, and thoroughly clean the pipe. This can be done with either a wire hanger, a dishcloth with warm water, or even with a screwdriver. After you have cleaned the pipe efficiently, screw the U-bend back into place and seal with waterproof tape to prevent any leaks. You can test this method by running the water after replacing the pipe – if the water drains smoothly, you have successfully gotten rid of the blockage! These home remedies to blocked sinks can be useful and effective ways to clear away any blockage in your sink, without breaking the bank. However, some blockages are too severe or stubborn for home remedies which is why it is important to call a drain technician if you are unable to clear the blockage yourself. Don’t leave it until it’s too late, or you may end up costing yourself more money and time spent trying to rectify the problem. You may even end up with more serious issues like flooding, which can pose serious health risks for yourself and all who live at the property. If flooding has already occurred, please give Blocked Drain Manchester a call today. A blocked sink can be a huge source of inconvenience and stress, but there are ways you can prevent and eliminate any blockages. 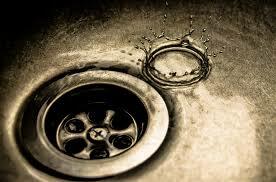 It is important that you take action as soon as you notice something wrong with your drains. When left ignored blockages can grow in size and cause more damage, and more expense, but there are steps you can take to save yourself time and money. There are three main ways you can unblock your sink: cleaning products, removing the U-Bend pipe below the sink, and a plunger. Cleaning products are most effective for blockages caused by natural substances such as food or oil, as these materials can easily be broken down. If the blockage has been caused by foreign objects that have gotten stuck on their way down the pipes, then a plunger is a more appropriate choice of solution. If you are unsure of what kind of blockage you have, the best option is to begin with cleaning products and observe their effectiveness. Most blockages are caused by natural matter, with build up of foods and greasy substances, and can be easily prevented by knowing how to properly dispose of waste. These kind of blockages will build up slowly over time, and you will notice that as time goes on the water in your sinks drains more and more slowly. To combat these blockages there are many different types of drain cleaning products available to buy from supermarkets, but there are also many home remedies that can be used to tackle blockages. Using baking soda and vinegar, or baking soda and salt, can dislodge the debris, and flushing hot water down the drains can wash away anything that is starting to build up. Already got a blockage? Call Blocked Drain Manchester today.